Archaeological Museum and Portrait Gallery was set up in 1964, NS reorganised in 1981–82. It is run by the Government of India's Archaeological Survey of India and is situated in the former Portuguese colonial capital of Old Goa, a historic one-time city which now attracts a large number of tourists. The museum and portrait gallery is situated in the convent section of the Church of St. Francis of Assisi. Besides this, there are postage stamps, wooden sculptures, pillars and other objects. Artificial and natural lighting is used for the display. The larger-than-life statue of the Portuguese epic poet Luis Vaz de Camoes is particularly noteworthy. There are also hero stones, sati stones, Persian and Arabic inscriptions, Portuguese weapons (rifles, swords, daggers). Video shows are available to visitors, and there is a publication sale-counter. 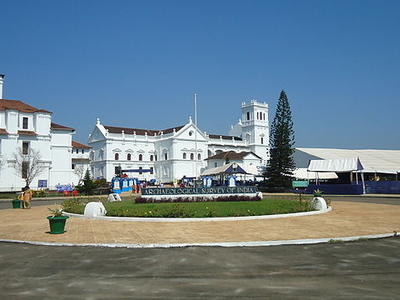 Here's the our members favorite photos of "Museums in Goa". Upload your photo of Archaeological Museum! Connect with Nithin Anand, Avinash Naidu and 1 other members who have already visited Archaeological Museum.